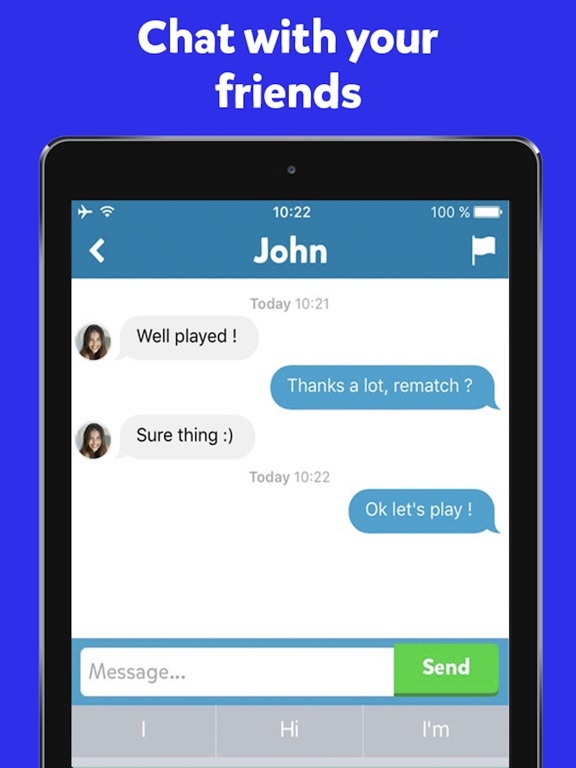 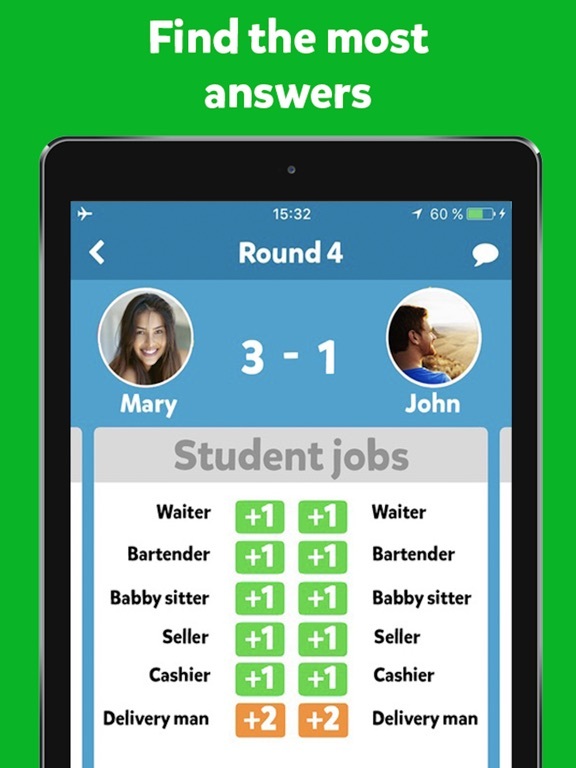 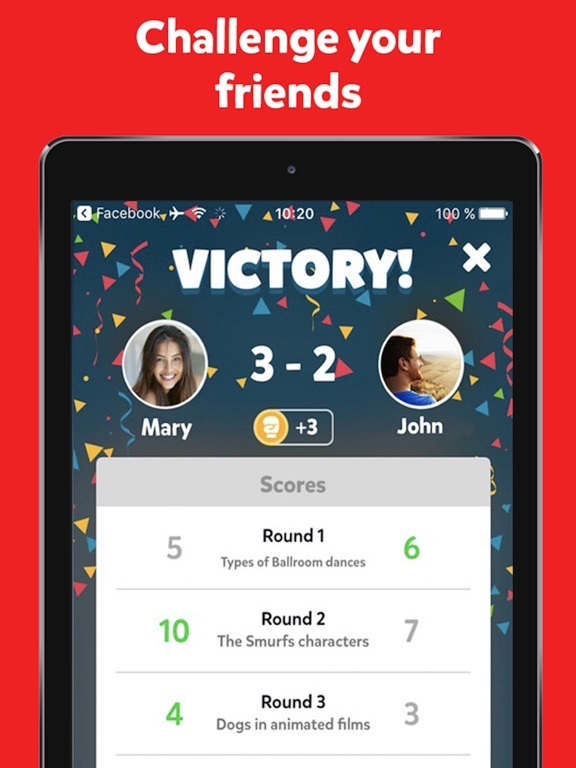 Challenge your friends in the new hot trivia game! 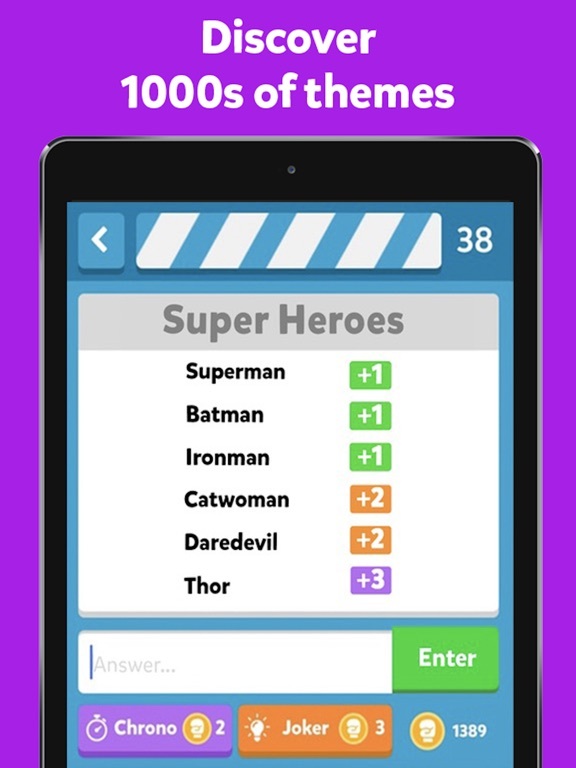 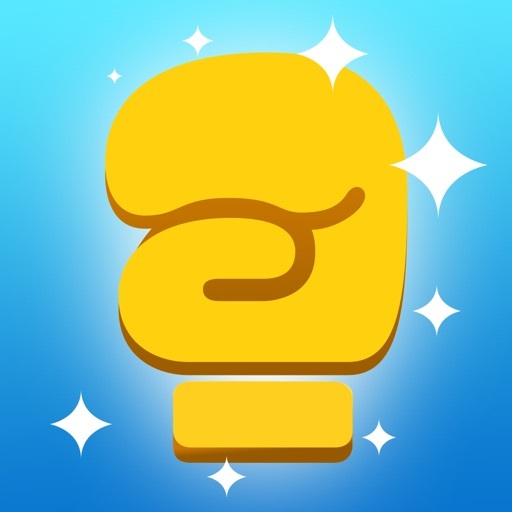 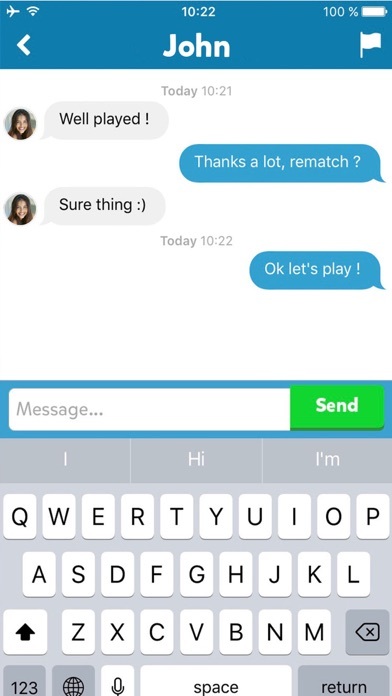 Discover 1000s of themes and find more answers than your opponent to win the match. 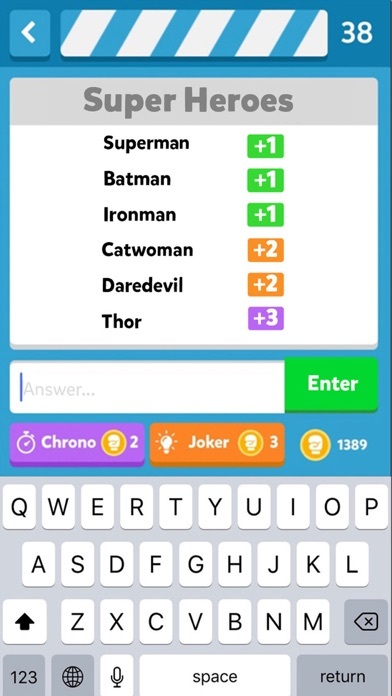 Use jokers to give you an edge and revelation wands to learn from your mistakes. 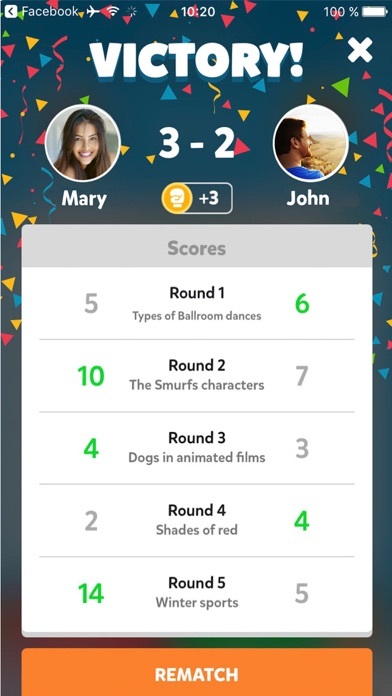 Check your stats and make it to N°1 amongst your friends and worldwide!